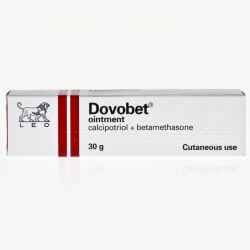 Dovobet Ointment 30g is an off-white to yellow coloured ointment which contains the active ingredients calcipotriol 50 micrograms (as monohydrate ) and betamethasone 0.5mg (as dipropionate. It is used on the skin to treat plaque psoriasis (psoriasis vulgaris) in adults. 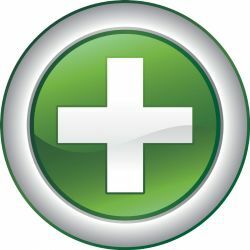 The Calcipotriol in the ointment helps to bring the rate of skin cell growth back to normal and the betamethasone in the ointment reduces inflammation. Dovobet Ointment 30g should be kept out of reach and sight of children. It should not be stored above 25 degrees celcius. 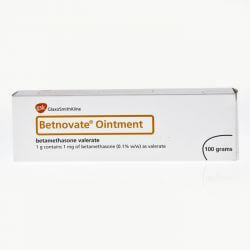 When using Dovobet Ointment 30g be sure to follow the doctors instructions and read the patient infromation leaflet before using. Wash your hands before and after each use (unless treating the hands). 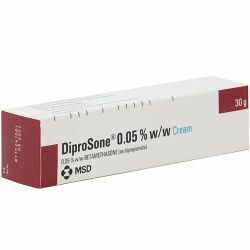 Use only on your psoriasis and do not use on skin which does not have psoriasis. Squeeze the ointment onto a clean finger, rub gently into your skin to cover the affected area of psoriasis until most of the ointment has disappeared into the skin. In order to achieve optimal effect, it is recommended not to take a shower or bath immediately after application of the ointment. Use the ointment once a day, it may be more convenient to use the ointment in the evening. The active ingredients in Dovobet Ointment 30g are calcipotriol 50 micrograms (as monohydrate ) and betamethasone 0.5 mg (as dipropionate). The other ingredients are liquid paraffin, all-rac-α-tocopherol, polyoxypropylene-11stearyl ether, white soft paraffin, butylhydroxytoluene (E321). Do not use Dovobet Ointment 30g if you are allergic to any of its ingredients or for any skin condition other then the one(s) it has been prescribed for. As with all medicines Dovobet Ointment 30g can cause side effects, althougth not everybody gets them. All known side effects will be listed in thepatient information leaflet provided with the product. If you experience any of the side effects in the patient information leaflet or ones which are not listed in the patient information leaflet contact your doctor or pharmacist.